Kellogg’s gave us another new cereal coupon this week (it’s becoming a Sunday routine lately). 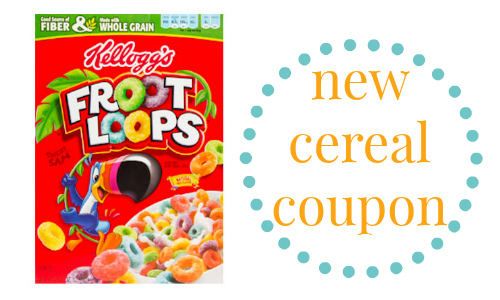 This time you can 75¢ off any box of Kellogg’s Froot Loops. This regularly goes buy one get one at most grocery stores, so grab the coupon and just want for a sale. Reminder: This coupon can be printed twice per computer.